1. How many political parties are taking part? The major parties are the ruling Justice and Development Party (AK Party), main opposition Republican People's Party (CHP), Nationalist Movement Party (MHP), Good (IYI) Party, and Peoples' Democratic Party (HDP). 2. When the candidate lists will be finalized? 3. What about voter registrations and polling stations? 4. How do elections work in larger cities? 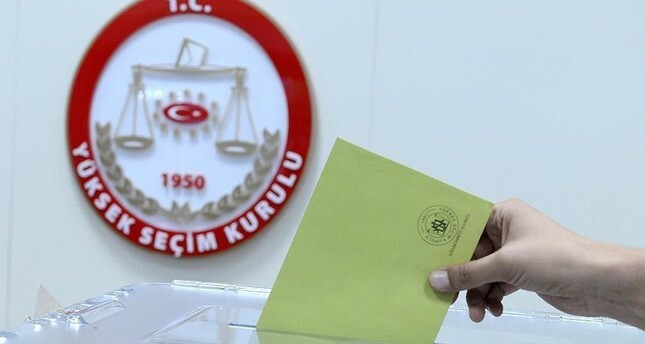 Voters living in Turkey's larger cities, called metropolitan municipalities, will vote to elect a mayor for the entire city, as well as district municipal mayors, city council members, mukhtars (neighborhood officials), and members of elder councils. 5. How do elections work in smaller cities? 6. How do elections work in villages? 7. What color will the ballots be? 8. How many envelopes will a voter's ballots be put into? 9. What are the voting hours? Polls will be open from 7.00 a.m. to 4.00 p.m. (0400-1300GMT) in 32 out of Turkey's 81 provinces: Adıyaman, Ağrı, Artvin, Bingöl, Bitlis, Diyarbakır, Elazığ, Erzincan, Erzurum, Gaziantep, Giresun, Gümüşhane, Hakkari, Kars, Malatya, Kahramanmaraş, Mardin, Muş, Ordu, Rize, Siirt, Sivas, Trabzon, Tunceli, Şanlıurfa, Van, Bayburt, Batman, Şırnak, Ardahan, Iğdır and Kilis. 10. When will the ballot counting start? 11. Which votes will be counted first?